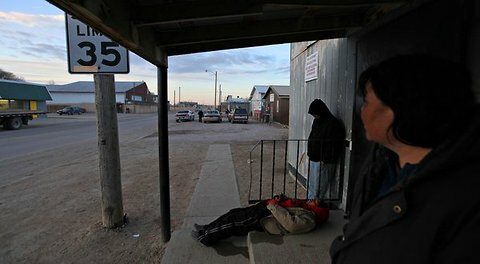 How can tribes, states, the federal government and local communities deal with alcoholism on and around reservations? If the beer companies and liquor stores are following the law, do they have a further responsibility to their communities? Big brewers like Anheuser-Busch frequently admonish us imbibers of their grain products to “drink responsibly.” Well, I say back to them: Lobby responsibly. Can a Bud boycott help the Pine Ridge Reservation? A lawsuit was filed against Anheuser Busch in February, but the company isn’t even willing to engage critics and discuss the issue. That’s why I’m undertaking my own personal boycott of Busch products, such as Budweiser: If a company cares only about dollars, a boycott might get its attention. Read the column and tell me what you think. Anyone going to join me?